Rosecrance is a non-profit, private organization which was first established as an orphanage for a few boys in 1916. The organization has since become a provider of behavioral health services and treatment serving thousands of families per year. With more than 40 locations in Chicago, Iowa, and Wisconsin the organization offers treatment for almost all age groups and offers services including detoxification, residential and outpatient treatment, dual diagnosis support, and intervention. The organization merged with the Janet Wattles Center in 2011 to create Chicago’s most accessible network of behavioral health centers. Both organizations are focused on providing evidence-based treatment and are committed to providing help for children, youths, and adults. The organization first opened its doors to children with behavioral disorders before expanding its scope in 1982 to offer treatment for adolescents struggling with addiction. This was the first center for adolescents battling addiction in Northern Illinois. 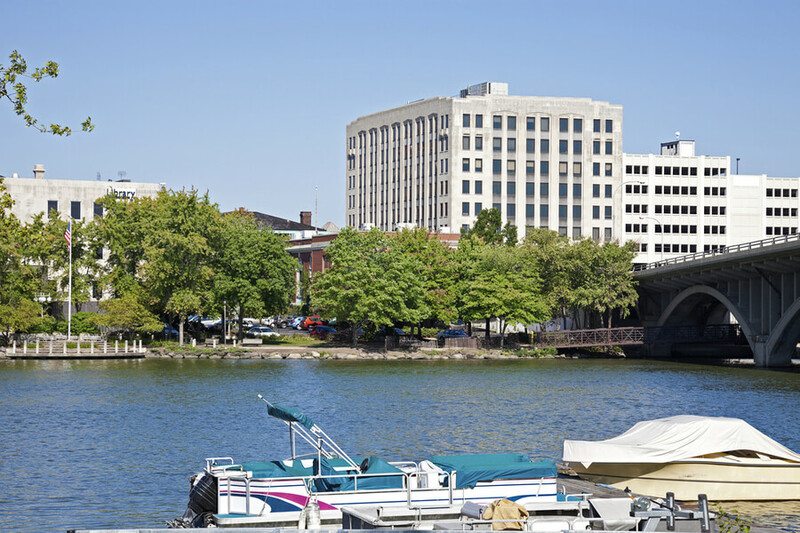 Rosecrance began offering treatment services for adults in 1992 in downtown Rockford but has since relocated and expanded its inpatient capacity to 98 individuals. The organization offers treatment for addiction at two inpatient centers in Rockford, Illinois: The Harrison Campus and the Griffin Williamson, the former for adults and the latter for adolescents. The organization also offers outpatient and mental health services at the Ware Center in Rockford which caters to adults while the Berry Campus caters to children and families. The organization’s Griffin Williamson campus is located on 50 acres of property and specifically caters to adolescents between the ages of 12-18. The facility is capable of housing up to 80 individuals and includes a fitness center and gym, and on-site school, and a chapel. Patients enjoy natural and scenic views from their living spaces and also have access to horticultural therapy in the facility’s Ipsen Conservatory. Clients have access to laundry services. Residents also sleep on twin or bunk beds and may be as much as four in a bedroom. The center’s Harrison Campus, which provides a conducive, therapeutic space and has a 97-bed capacity and is located on a 10-acre size property. The facility accommodates adult men and women and includes a fitness center, outdoor dining area, walking paths, and recreational space. In both facilities, individuals are housed by gender and there are no private rooms. Food is served on both campuses and clients manage their own dietary restrictions, however, vending machines are available on both campuses. In this form of treatment, a patient’s needs are assessed and a treatment plan is designed which may include individual, family, and group counseling, relapse prevention, and educational sessions. The setting provides a safe place for residents to achieve full recovery and patients may receive treatment for up to 40 days. In this level of care, individuals receive intensive treatment in the facility five days a week while they go back to their homes in the evening and on weekends. This treatment program is available for individuals who require a less intensive style of treatment and have successfully completed the inpatient treatment program. Individualized treatment is created through assessments and counseling and educational programs are also offered. Rosecrance costs approximately $31,050 for a 45-day treatment. Clients are advised to call the facility to verify and get information as Financial Counselors are always available. Payment methods such as Visa, MasterCard, Checks, Money orders, Cash, and others are accepted by the establishment. Medicaid is accepted if benefits for the treatment are covered by the insurance plan. Every patient has an account representative whose duty is to work with the client with financial issues such as, verifying insurance coverage, providing assistance, creating a comfortable funding plan to help the patient make payments easily and many more. Public funding is accepted and the facility will help patients access such funding. Clients are allowed only one assistance program per stay and not all clients may qualify for this assistance. Charity care is also available for clients that can’t afford the payment for a treatment program and are not eligible for financial assistance. The facility has different locations such as the Griffin Williamson location which has a conventional game room with multiple types of recreational equipment. The location also contains a conservatory, basketball court, serenity garden, chapel, and a school on-site. Recreational activities involve yoga lessons, foosball, art therapy, music therapy, horticultural therapy, writing therapy, exercises involving meditations, and many more. Another location is the Harrison campus location which is smaller than the Griffin Williamson campus but is 10 acres of land and offers a serenity path and dining in the outdoors. Family visits are encouraged and as such a playground and childcare center is made available for families of residents registered at the facility. The facility specializes in the treatment of repeated relapse issues and this might be a good choice for clients suffering from this issue and looking for a hospital around the area. Philip went to the Trinity International University where he earned a Bachelor’s degree in Sociology and The University of Northern Illinois where he earned a Master’s degree in Community Mental Health. He has been a member of the different associations where he served as chairman. Some of these associations include IADDA and NAATP. He has served as the CEO of the facility since 1982. Judith holds a Master’s degree from Cardinal Stritch College majoring in Management and a Bachelor’s degree from Northern Illinois University majoring in Family Services. She is also certified to be a Senior Addictions Counselor and a Human Resources Senior Professional. She was given the position of Governor on the Illinois Task Force on Issues of women in treatment. He holds a Bachelor’s and Master’s degree majoring in Psychology and Health Service Administration respectively. He is also the reigning chairman of the Illinois Association of Behavioural Health.